Are you looking for a quality, cheap and local house removal company? We have the whole home removal package for you. Just choose services you require! Are you not sure if you can afford to use a professional house removal company? Don't worry we will provide home removal quote at no costs and with no obligations! Some household goods and equipment require special packing and handling. We have proper removal boxes for packing, packing and wrapping materials. And we know how to make your goods secure! Over the years we have developed a full package of house removal services. What ever you need we have a solution ready. Just have a look what we can do! 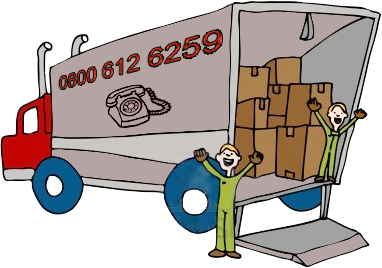 At House Removals our trained team provide a friendly domestic removals service, professional advice and free online quotes. As one of the best house removal companies Birmingham, London and across the UK our clients can feel confident that we rigorously enforce standards, with the highest levels of staff training. Well established within the house removals industry, we offer highly-competitive prices with no hidden removal costs. We understand your needs and will handle your household goods with the greatest care. Our company also operate our own container storage and self storage facilities and supply packaging materials etc. delivering 'The complete UK home removal package' with minimum inconvenience to our customers. For a free no obligation online house removal prices, please contact us to arrange a convenient time for our specialist to visit you house. Alternatively you can complete our free removal quotation request form. We look forward to being given the opportunity of providing you with our house removals service wherever you are..
House Removals have many years of experience in dealing and covering all aspects of the residential removal process. Our cheap and local home removal firms have set ourselves up to make your home relocation as stress free as we possibly can. Our friendly and lively operatives are always willing to go the extra distance to help with any eventuality before, during and after the house move. Our relocation managers will advise and liaise with you throughout your home removals on every aspect, working to your specific needs at all times. How to organize a cheap home removal? BlueChipRemovals are able to provide a complete house removal service, from a single item to a full load, locally or throughout the UK. Our domestic removals agents are available in all aspects of the household relocation procedure, from the packing of china and glassware, to the complete house packing service - including the dismantling and rebuilding of furniture, making ready for transit - should you require. At UK House Removals our team of packers have under-taken an industry recognised training course in packing 'china & glassware' and also 'export packing skills'. Based in Birmingham, London, Bristol, Glasgow, Liverpool and many more UK towns and cities we offer a full home / house removals and storage service whether you are moving somewhere in within the United Kingdom or Internationally. As professional UK Home Removal Firms we are members of many industry quality bodies giving you peace of mind knowing that your packing and home furniture is being handled by the highest industry standards. At Cheap and local UK House Removals and Storage we provide a professional home and office removal services across the West Midlands, Greater London, South East, North, Scotland as well as across the rest of the UK, and worldwide. Our qualified house man and van removal man offer full and part home packing service, and are Grand Piano and Fine Art removal specialists. Full insurance cover is always provide as an option. We also supply quality packaging including garment rails, and non-returnable boxes. Full or part loads welcome. Our heed office is located in Birmingham, West Midlands. This is where we started our house removal company many years ago. Today are proud of outstanding services we offer, smooth operations and warehousing services. Whatever your requirements can be we are the local firm in Birmingham you would like to work with. Our house removal costs are very competitive. We can tailor our services to your individual needs. If you decide to do part of the move yourself we will give you all information and moving advice you need to plan and prepare your home removal from start to finish. Just give us a chance to provide you with our rates. Compare our house removal costs to quotes you have gathered from other removal man in Birmingham. Affordable, and cheap removals in Birmingham is what we offer to all our clients. Contact us and find out if there are any discounts going on. Have you planned your cheap home removal in Birmingham on the Saturday or Sunday? That's not a problem at all. We are available 24/7 - during the day, evenings, nights, early mornings and on weekends. Are you relocating within the city centre or interested in long distance house removals we are here to help you. Take advantage of our flexibility. With us you will be sure your move will be done according to the plan, no delays and not extra costs. If you need a last minute home removals we can relocate you to anywhere in the UK and worldwide. Emergency Removals West Midlands is one of the top domestic removal companies providing bespoke solutions to private individuals. Moving house can be time consuming and stressful for many people. Free up your time and put your mind at ease knowing your belongings are in the hands of domestic removal specialists. At 24/7 Last Minute household Removals we take the stress out of your shoulders. Our home removals services include, but are not limited to, pre-planning, expert packing of household goods, relocation, transportation and packaging provision. We deliver hundreds of home moves in Birmingham, across the West Midlands and all the UK each month. Our success has been only possible thanks to the customer that keep coming back to us every time they need to move their beds, wardrobes, chest of drawers and sofas. Our house man and van Birmingham are proud of themselves due to being up-to-date with the latest moving techniques in the relocation industry. At Disaster Recovery Removals our consultative approach ensures that we fully understand the unique residential relocation needs of all our customers before recommending the best moving solutions. UK Domestic cheap, local and last minute removals have been a core activity of our company for many years. Despite our continued growth as a fully-fledged house movers the relocation consultancy remains central to much of our project work: for every size and type of client, across every area. Most of our house movers are market leaders in domestic removal services. Some companies were founded in 1886, 1960 and some in 2014. Most residential movers were formed in 2000 to concentrate purely on the domestic moving sector and separate the company from the factory relocation services. Since then we have moved thousands of UK residents and citizens. Our focus has always been customer driven and we offer a genuine personal relocation service in Birmingham, London, Manchester, Bristol and UK to all our clients, no matter whether they have to move 2 bedroom apartment, a studio flat or 3 or 4 bedroom house. As one of the leading UK cheap and local house removal services provider in the industry we have the total flexibility to handle small local home removals, right through to multiple hundred council houses and with the up-most care. We believe in providing the highest level of household goods shipping services. Our man and van house removals team receive regular training and incentives to achieve and maintain higher standards: we positively encourage everyone within our business to aim for success in every element of what they do. We are confident that we employ some of the best staff in the home moving industry.